Easy to Play: Plug and play, no drive software required. The video converter is a must have to keep older devices with new modern PC monitor or LCD. 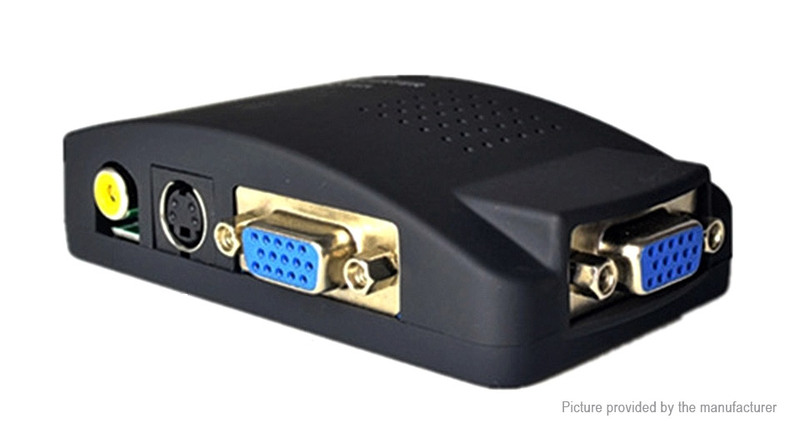 Convert VGA/S-video/CVBS to VGA. It Allows You to Watch Online Videos, Play Computer Games and Surf the Internet Through TV as the Monitor. Function: Free display. It also can be connected to VCD/DVD/Webcam/Set-top box etc. and make your monitor be like digital TV.Advanced scan frequency improves the technique, refresh rate can be easily switched between 60Hz-75Hz, while the pictures don’t flick.